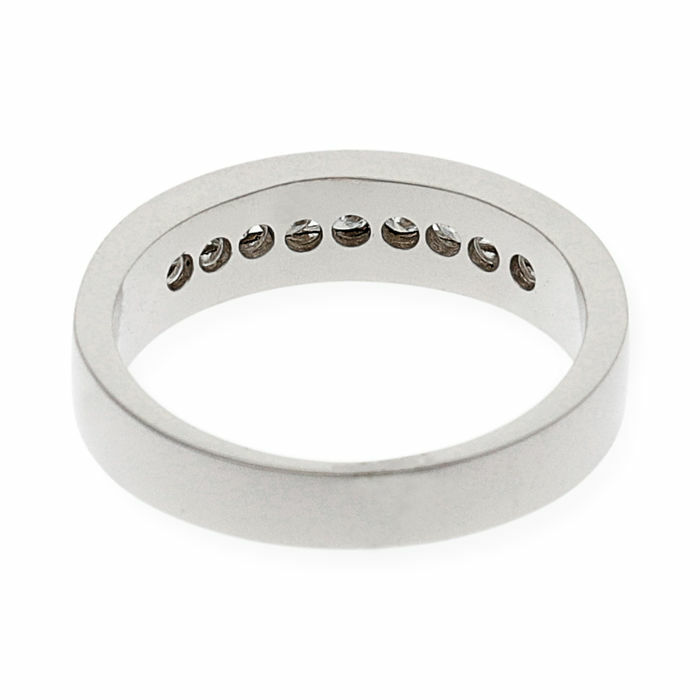 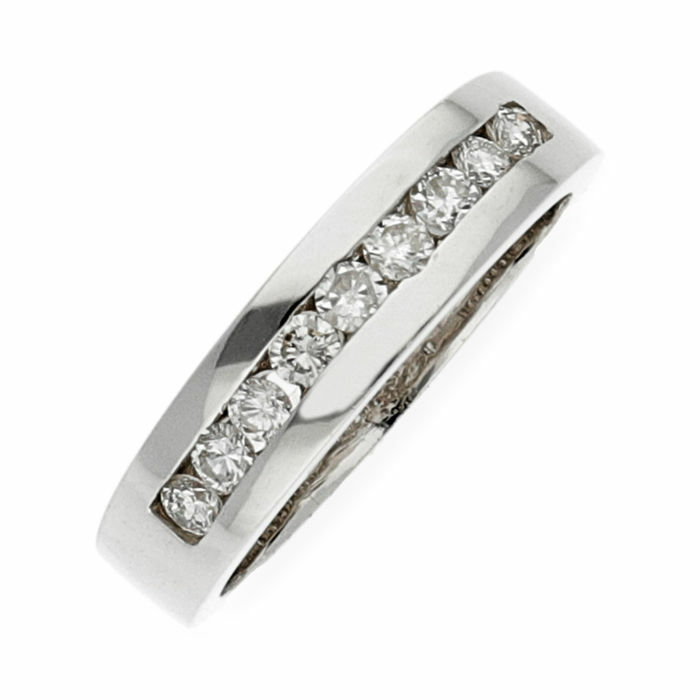 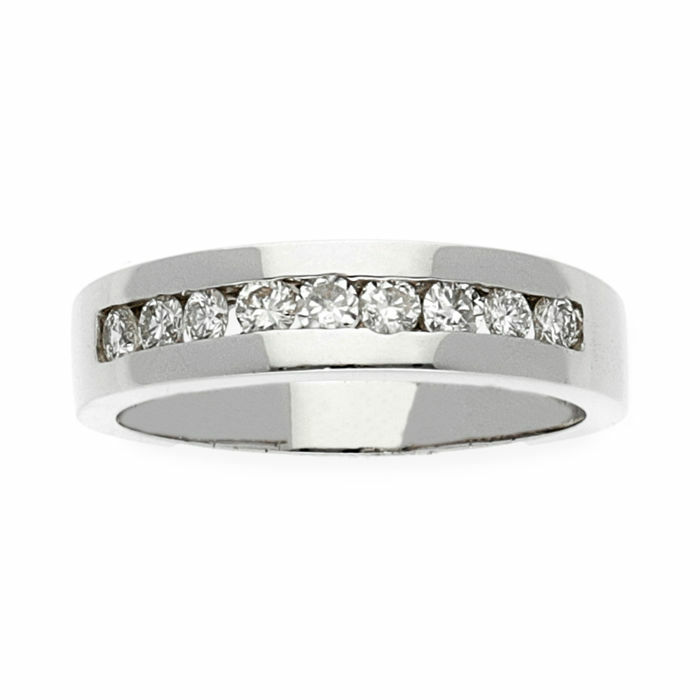 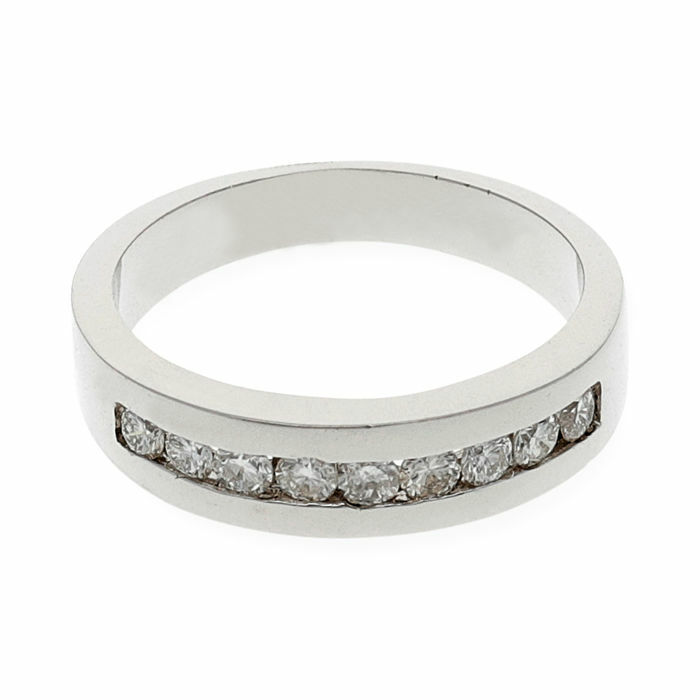 Ring made from white gold with central band of 8 brilliant cut diamonds weighing 0.50 ct, size 13 (ES), in mint condition. 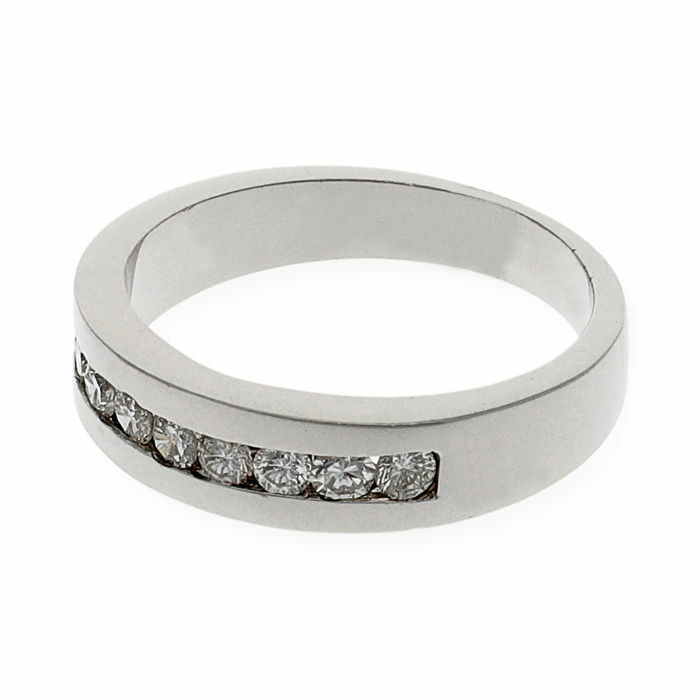 Note: We will adjust the ring size to your measurements. 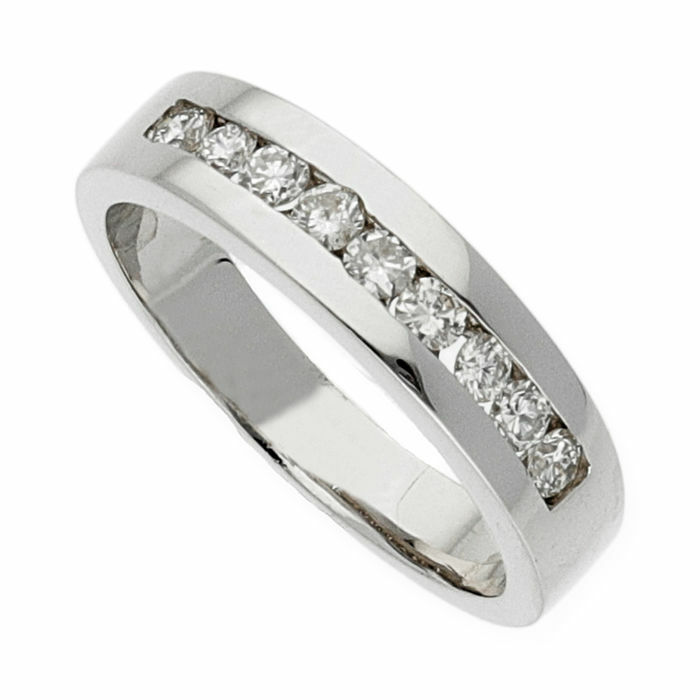 Cocktail ring material: 750/1000 (18 kt) white gold.